The Oscars are four days away, so I thought I’d repost one of my favorite blog entries from 2009: Miss Pink Slip’s Out-of-Work Oscars. 1. 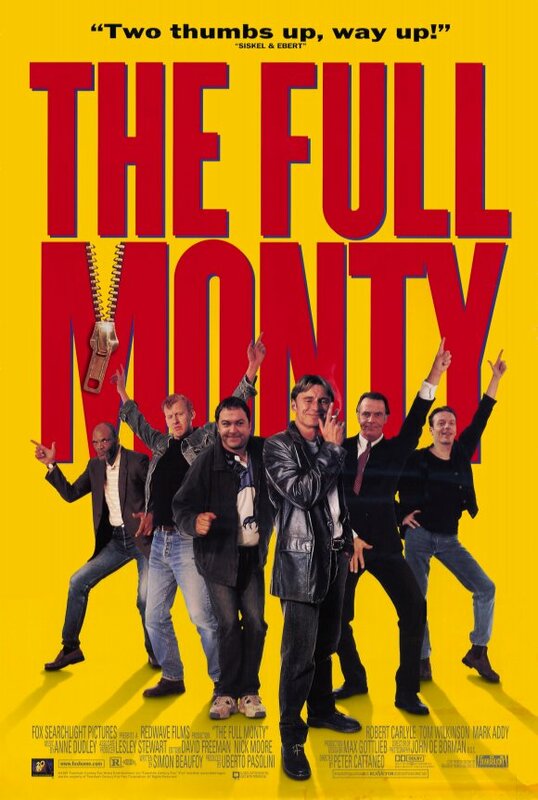 The Full Monty– Six unemployed British steel workers create their own “Chippendales” act in hopes of earning some serious cash. Chaos ensues, but when their pants finally come off, the women go wild and the dollar bills (er…pounds, Euro, whatever) are aplenty. Moral of the story: Get creative and use your resources (but keep your pants on, please). 2. Mr. Mom– Michael Keaton’s Jack is let go from his job as an auto engineer. Wife Caroline (Teri Garr) returns to the job market, becoming the primary breadwinner and leaving Jack to run the household. Chaos ensues (crazy poker games for coupons, a night out with the girls at “Chippendales”, etc. etc. ), Jack battles with the washer/dryer and a vacuum, but he learns to make a darn good grilled cheese with an iron and ends up finding happiness at home. Moral of the story: Find your strengths in unexpected situations. Moral of the stories: Never knowingly humiliate yourself for a steady paycheck. 5. Erin Brockovich – Unemployed mom of three (played by Julia Roberts) meets lawyer Ed Masry when he represents her in a car accident suit. He loses the case, and because she’s out of cash, Roberts’ character guilts Masry into giving her a job as a legal assistant. Chaos ensues, and Masry fires her over and over again. Erin Brockovich remains persistent in her goal and, ultimately, ends up a hero, earning a boat-load of dough for herself, Masry and an entire town. Plus, she punishes a really bad chemical company. Moral of the story: Be prepared to make sacrifices and be persistent.